Hello...my name is Tim Praskins. 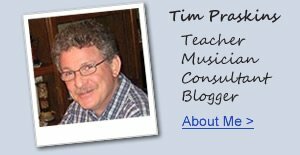 I am a well known experienced Piano, Keyboard, Organ and Guitar Teacher in the US for over 40 years, as well as pro musician (I play piano, organ, keyboards, guitar) arranger & composer, and an expert digital piano consultant to the PUBLIC. My son Erik & I are based out of Arizona, USA (where the Grand Canyon is!). I write personal, authentic detailed reviews of digital pianos and related content in a variety of price ranges from my studio in the Phoenix, AZ area where it gets very hot here in the summer (115-120 degrees) on many occasions. So being in my air conditioned music studio is always nice when it's hot outside. 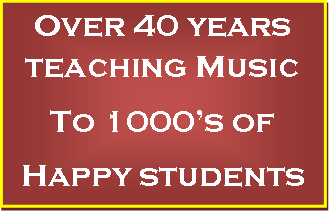 I have 100's of musician and music teacher friends & associates throughout the US that I have worked with along with helping hundreds of churches, schools, universities, and others figure out their digital piano needs who have put their trust in me and my reviews. I do this because playing music is my passion because I love music! From playing it, writing songs, arranging, creating, and using music technology to enhance the overall piano playing experience for myself and for others, music means a lot to me. This includes the use of computers, iPads, recording equipment, sound equipment, and other music technology and equipment. I believe it is also important for people to know that there are other digital piano (so-called) reviewers out there and with very, very few exceptions, they do not know what they are talking about and have mostly not played any of the digital pianos they are "reviewing." They do their "fake reviews" just to get you to buy something on Amazon so they can make an Amazon affiliate commission...basically many of them don't care what you purchase and you cannot contact them for real help. Just be careful out there when doing your research. I do not work for any manufacturer or music store, they do not pay me for my reviews, and I don't need to say nice things about the various digital pianos if I don't want to, and in fact, sometimes I complain or bring up negative things about different top name brands or models that I find have concerning issues in certain areas of their pianos. You won't find that kind of unbiased reviewing from the "name brand" digital piano companies or on-line stores because to sell their digital pianos, those retail/resale companies have to be nice to all the pianos they carry and they may have 5, 6, 7, or even more than 10 brands they represent. All of those brands cannot be great...or even good. But those retail companies won't tell you that since they need to sell all of them equally because that is what the manufacturers expect of them, so then those dealers cannot be objective. 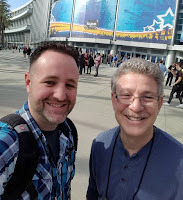 After 40 years of personal, objective experience with top name digital and acoustic pianos (I have played them all), I know what I am talking about and now my son Erik is following in my footsteps with the knowledge he has acquired over many years of work. So who can you trust to give you authentic, unbiased, and experienced information so that you can make the best possible buying decision within your price range? Well I humbly submit that person is me along with my son Erik. If you look at the picture on the left you'll notice me with my beautiful wife Claudia. 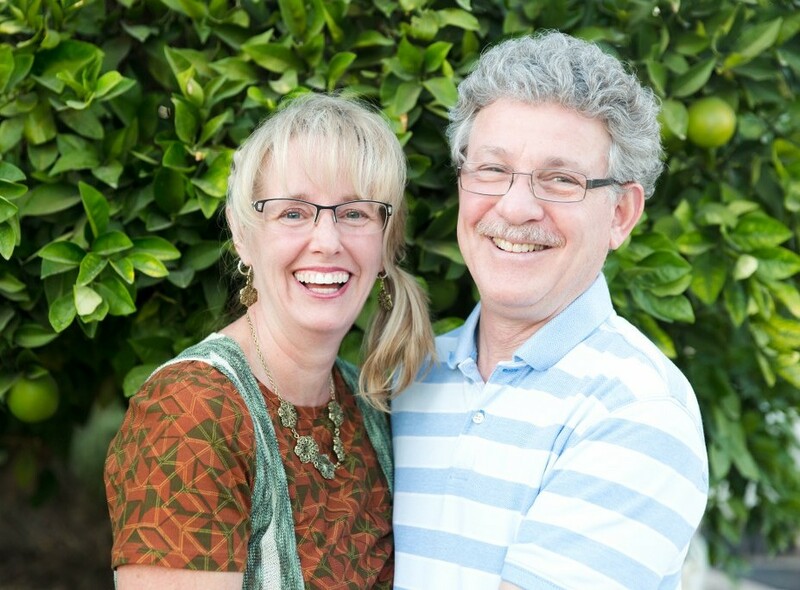 We have been married just over 35 years and started when she was just a teenager. My wife is also very much into music including being a vocalist with a beautiful voice along with the ability to play sax, clarinet, organ, and some piano...she leaves most of the piano playing to me. Claudia supports what I do in helping people make smart digital piano buying decisions and puts up with my longer hours trying to give people personal one-on-one help over the phone wherever they are located in the US. My son Erik & I are there to help you and we have been doing this for many years together and I have been doing this even since I was a teenager. In fact I have played and consulted with digital piano shoppers even back in my early years with useful info that I had learned...with my own testing out hundreds of digital pianos. As a teenager I played on and helped promote the first ever single keyboard home digital piano model in the US back in the mid 70's made by the Hammond organ company and subsequently just about every digital piano ever offered in the US by any company from that point on. I have played on some of the best Fender Rhodes, Yamaha CP, and Wurlitzer electric pianos back in the 60's and 70's as well as having played on and consulted with people on the first ever Yamaha single keyboard portable home digital piano model that came out in the early 1980's. My son started his piano lessons when he was just 5 years old and obviously grew up surrounded my musical instruments in my studio. Erik also plays the guitar & drums and understand a variety music technology as well. So when it comes to actual real authentic piano (and keyboard) playing experiences on literally thousand of electronic pianos over the years, it's difficult to find anyone who comes close to me and my son as a team in terms of that kind of knowledge including all of today's latest digital pianos. 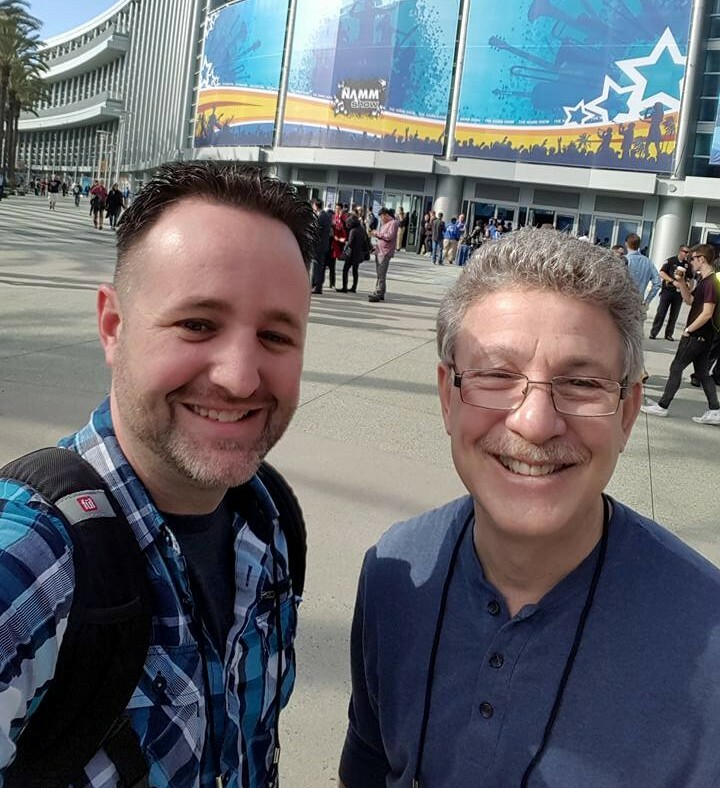 The picture of us above left is a recent one of my son & I at the international music trade show in Anaheim, CA, USA which is one of the many places we go every year to touch and experience in person all the latest digital pianos and music technology. 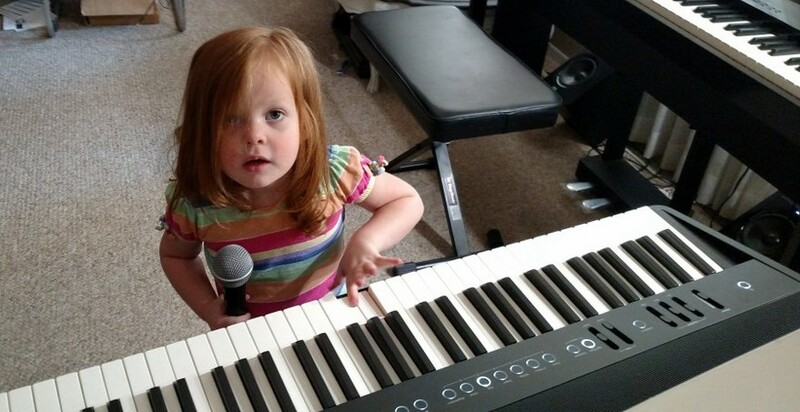 I have put many hours, months, and years of effort into this digital piano blog and my son & I don't do it because we need to make money by linking you to an Amazon retail digital piano site or other retail site like so many other so-called "reviewers" do, just so they can make affiliate commission money. Directing you to retail consumer sites like Amazon means that those kind of "digital piano review sites" cannot really be neutral or even helpful about their so-called advice because they are wanting you to buy something on Amazon (regardless of actual piano quality) so they can make money. We do not need to link to a site like Amazon or eBay (which are not necessarily the best prices out there). However, we can and will help you get lower prices than Amazon and Internet stores on new digital pianos once you finally decide on what is best for you...and we can help you get there. Be careful of reviewers who are affiliate linked to Amazon, eBay, or others because what you read on most of those sites is probably done by people who have never played any of the pianos they talk about. They can steal content from me or consumer reviews on Amazon and then regurgitate that content to make it seem like they know what they are talking about...but they normally do not know...and even consumer/owner reviews come from people who normally have little experience with pianos. After being in the music industry for over 40 years and having taught private and group lessons to thousands of music students on many instruments, I have worked with nearly every type and brand of acoustic & digital piano (and guitar) and talk about piano stuff you may find interesting. 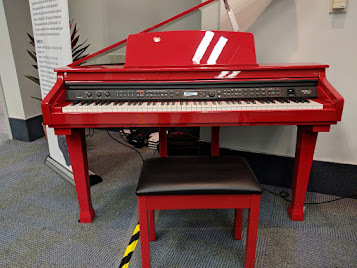 I blog about piano lessons, piano industry news, music technology, new and used pianos, and do in-depth reviews of many different digital pianos, far more than anyone else. 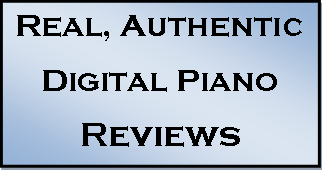 Check out my latest posts on the "search reviews" page or use the search bar on the upper left side of my blog to find previous digital piano reviews, because there are lots of them! Just enter the brand and/or model number of the digital piano you're searching for, and if you don''t see it, I continue to add new reviews all the time. I am a person who loves to play piano (grands, uprights, digitals), pro synth's and keyboards, organ (B3 jazz, church, pop), guitar (acoustic, electric, bass), and likes many styles of music. I really like to share my product knowledge, experiences and my joy of playing music instruments with others and I like hanging out with accomplished pianists and piano teachers who I can learn from as well. 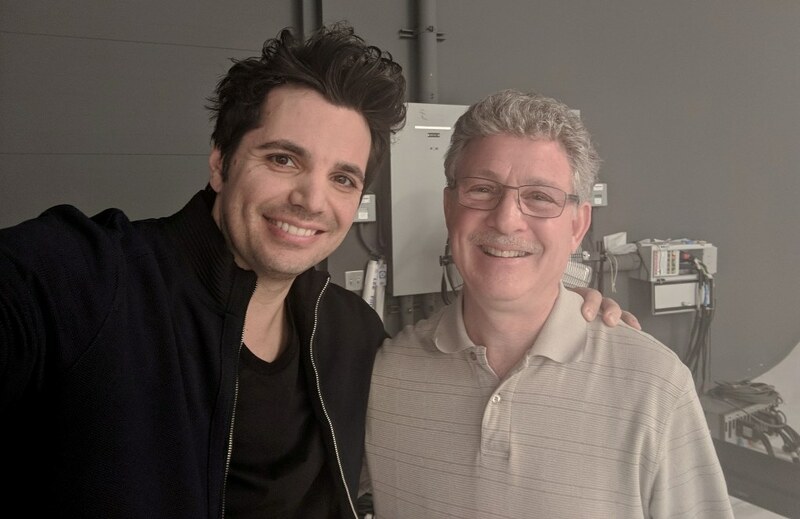 In fact one of my good friends (left picture) is the world famous William Joseph who is a star contemporary pianist and accomplished composer of current contemporary piano music. William's career got started because of his association with the famous composer and pianist David Foster who produced William's first albums, and I have known and worked with William for a number of years and consider him a good friend and a great guy. He is also endorsed by the Yamaha piano company and plays one of their $100,000+ concert grand pianos. Check out William's web site here: William Joseph web site. Also take a look at the following video performance links to some of David Foster's other very famous musicians whom he produces music for including: William Joseph. Peter Cetera. Katharine McPhee. Earth, Wind, and Fire. David Foster & Kenny G duet. Michael Buble. As I said earlier, my son, Erik is also quite experienced with playing piano and has a great wealth of information when it comes to the latest digital pianos and understands them so he can also help you when it comes to many of your piano questions. Erik works with me in his own local music studio and is happy to help you when you call for advice and information. 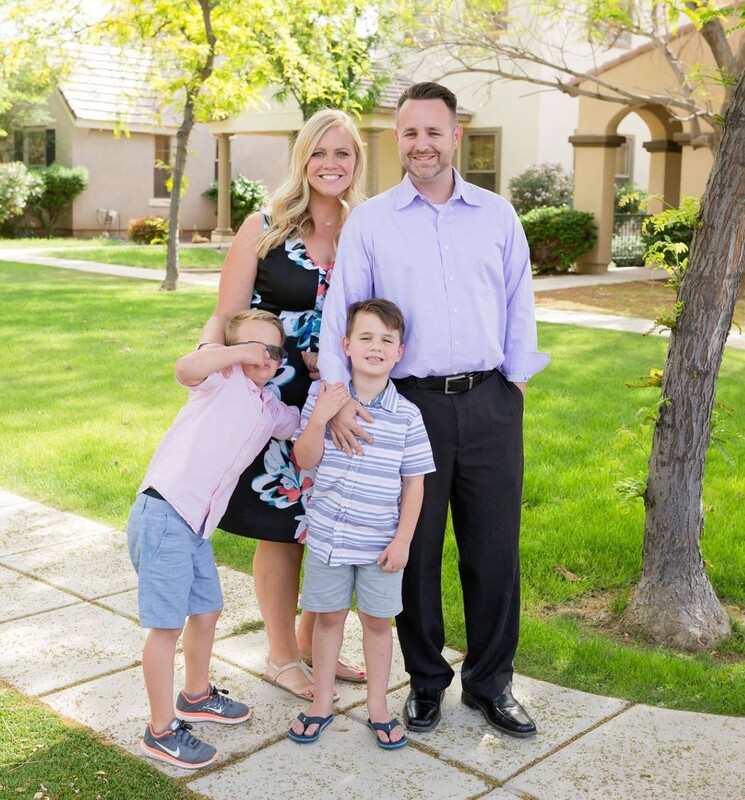 Erik has been married quite awhile to his high school sweetheart Michelle and they have two young children. In fact one of them, named Dylan (the boy covering his face in the left pic with Erik, his wife, and their other son), was diagnosed with ALL Leukemia when he was an infant and given a 15% chance to live until his next birthday. But through many miraculous events he is CANCER FREE and he is nine years old now,. However, many developmental struggles are affecting him having been caused from the extreme chemo & radiation treatments he originally received, and it will be a long & difficult road for him and his family with his speech and thinking problems (brain neuron damage the lack of being able to think & converse normally), bad eyesight with eye problems, and overall physical and mental growth issues. In fact one of the main reasons I put together and maintain this public blog is to help support Dylan and his needs. Click on the pic for larger view and also Read more about Dylan and see a short video about him HERE on this link. 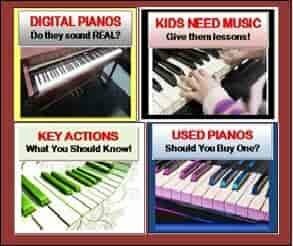 *IF YOU WANT REAL DIGITAL PIANO REVIEWS & NEWS AND TO KNOW ABOUT MUCH LOWER SALE PRICING THAN INTERNET, AMAZON, OR STORE SALE PRICES ON THE DIGITAL PIANOS YOU ARE LOOKING FOR, PLEASE CONTACT ME BEFORE YOU BUY ANYTHING FROM ANYONE! 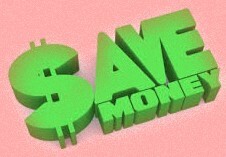 YOU'LL SAVE MONEY! In an effort to support this blog and keep it free and available for the public, you may see some general advertisements. These advertisements are controlled through a 3rd party company and by no means are the companies, products or messages seen in these advertisements controlled or endorsed by me. 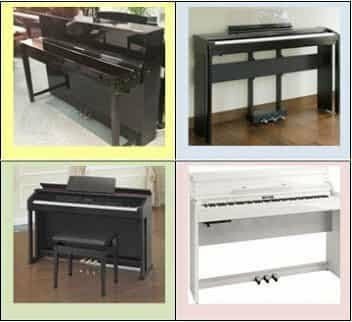 My AZ Piano Review & News blog (a part of Arizona Piano Wholesale LLC) is very time consuming for me and takes a lot of effort, so if you would click on some of the ads to read more about them without obligation, that would be helpful to me. 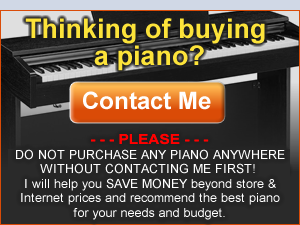 As always, please don't purchase any piano anywhere without contacting me first! (US only for phone calls). - Call us with piano questions Mon-Thurs 10AM-7PM and Fri & Sat 10PM - 5PM Mountain Time (US phone calls only). ** Please Note: All my reviews are independent of any others on the internet and are done with great research, time, energy, and personal experience with each instrument and I have played and listened to them. I can tell you if you are getting the lowest price to make a purchase should you decide you want a new digital piano. I can also order many new pianos direct from some of the best brands for less money, free shipping, and no sales tax if that would help you. No one pays me for my reviews including manufacturers, distributors, resellers, etc. I am independent of any digital piano manufacturer and do not work for them. All my reviews are my opinions are done by myself for the public at large. Also, I reserve and exercise the right to update my reviews as new information comes my way through further examination of these pianos or new information is brought to my attention from the manufacturers or users. My desire and goal is to refer you to any brand and model of new piano, digital or acoustic, if that brand and model meets your musical goals, budget, and overall needs. My advice is FREE.